Edison International President Pedro Pizarro makes a point during “The Promise of Grid Edge Solutions” panel discussion. Edison International Chairman and CEO Ted Craver speaks during “The Power of Energy Storage" panel discussion. 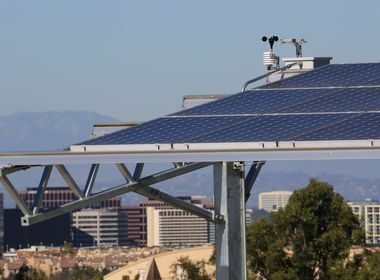 The Irvine Smart Grid Demonstration Project, which was recently completed, tested systems to help customers be more in control of their energy use. SCE’s new Charge Ready program, a $22 million pilot project, seeks to accelerate the installation of EV charging stations. Edison International Chairman and CEO Ted Craver and President Pedro Pizarro discuss the company’s plans for the power grid of the future. In the clean energy future, “electric utilities will need to keep their focus on the needs of the customers,” said Edison International President Pedro Pizarro this week at the Edison Electric Institute’s annual convention in Chicago. Pizarro spoke on the panel “The Promise of Grid Edge Solutions” and talked about the profound cultural shift he sees coming. “Technology will be changing the footprint and driving significant changes," he said. "Throughout all of this, we as utilities will be held accountable by customers for maintaining a safe, reliable grid." In the future, customer-owned energy solutions — including solar panels, energy storage, electric vehicles and demand response programs — will offer significant value, but will require upgrades and investments to the current grid. It will also require new ways of managing the grid for maximum value and efficiency, and working with customers who are also energy providers. “As we bring the vision to reality, it is going to require significant partnership across utilities, regulators, and third-party providers, and we need to look at this through the focus of the eyes of the customer,” said Pizarro. In a later panel on “The Power of Energy Storage,” Edison International Chairman and CEO Ted Craver talked about the importance of providing energy storage systems on the grid. 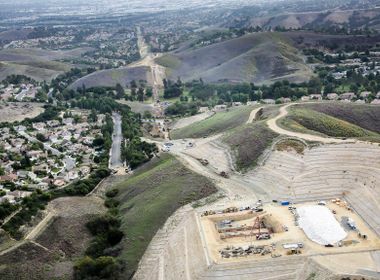 Southern California Edison, the largest subsidiary of Edison International, will be making significant investments to make this future a reality. 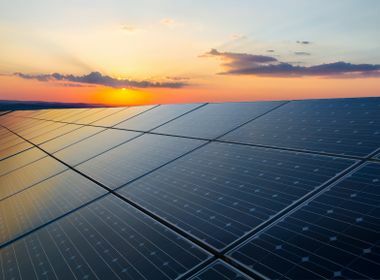 These include upgrading the system to support a two-way power flow for solar energy and energy storage, creating a next-generation digital platform that will support enhanced automation and creating a plug-and-play power grid. The discussions were part of the “Electricity Matters Series” of panels on June 13.